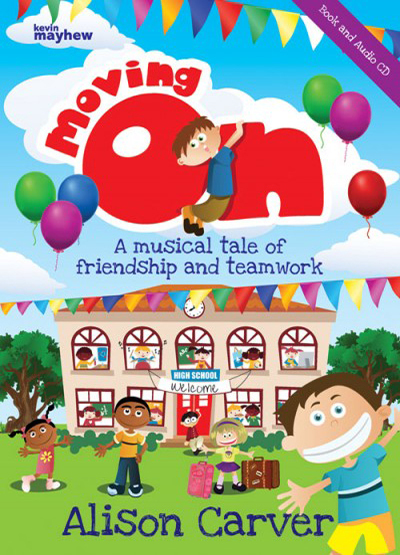 plus a CD with rehearsal and performance tracks for the songs and all incidental music. A complete package for your end of year production! It’s getting near to the end of term and one group of friends in particular are ready not only for their summer holiday but also their move to High (Senior) School in the autumn. The staff, however, are determined to keep the children focused until the end of term! They decide to set them a challenge, that of organising the school’s Summer Fair, to encourage teamwork and responsibility. Some arguments amongst the pupils ensue, resulting in the class splitting into two rival factions. The day of the fair finally arrives but the event is threatened with disaster. Can the children work together to save the day? I'm really looking forward to my holidays! The parts with an asterix* can be played by a boy or a girl with a name change. Other members of the class who are involved in the action and sing the songs.